Christmas is right around the corner (insert classic ‘it’s come around so quickly’ text here) and it’s the perfect time to start planning your ultimate Christmas meal. 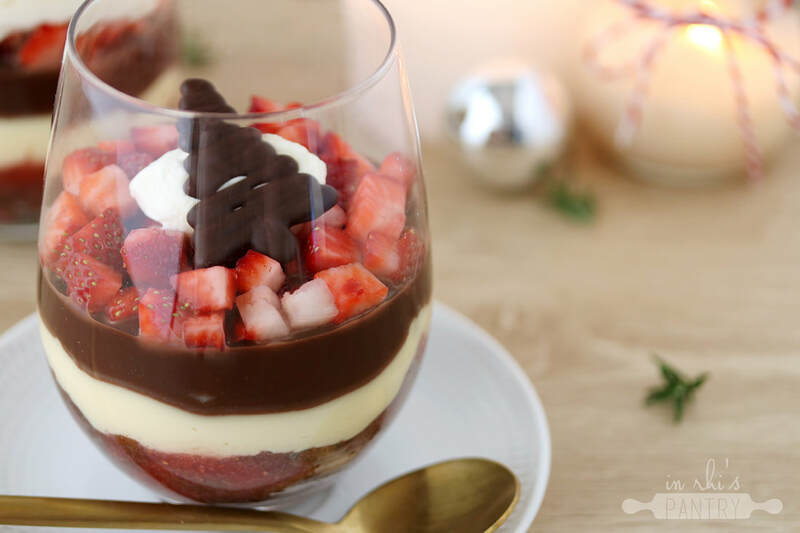 One thing that inevitably comes with cooking a Christmas meal is a wee bit of stress, so I have popped this Neopolitan Trifle recipe together to show you how you can cut some corners but still make an absolutely delicious (and impressive) dessert! Countdown is my local supermarket and when planning this recipe I found there were SO many ways I could save myself a little time, starting off with the base of my trifle. This is a trick that my Mum has used in her trifle for years, and it’s using chocolate muffins as a base. Chocolate is one of the three key flavours in Neopolitan, and an added bonus the 6 pack of chocolate muffins in the bakery sections are on Price Lockdown! The next little trick is to jazz up store bought custard. Now mascarpone custard sounds pretty fancy, but the only ingredients are what’s named in the title. 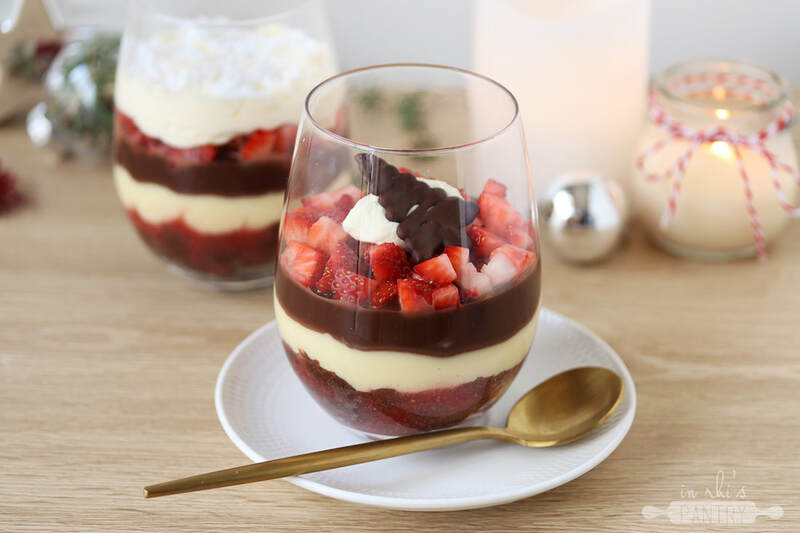 Mascarpone, and custard, whipped together to create a thick and delicious cheats trifle filling. The only thing you need to make from scratch is the chocolate ganache (simply just cream and chocolate melted together) and the strawberry chambord puree (strawberries and chambord blended until smooth). This recipe is so easy and will impress dessert lovers of any skill level. In your serving bowl or glasses, crumble in the chocolate muffins. Blend together the 200g fresh strawberries and Chambord until smooth. Evenly pour over the muffins and set aside to soak. In a bowl, whisk together the mascarpone and custard until smooth. Next, make the ganache by microwaving the chocolate and cream in a heatproof bowl for 1 minute. Stir, then microwave for a further minute and stir until smooth. Place in the fridge. Spoon or pipe in the custard and tap the glasses on your bench surface to smooth out the top. Repeat with the chocolate ganache and place in the fridge to set.